Dharampal Satyapal (DS) Group, the rapidly growing Rs 3200 crore multi-diversified conglomerate has launched a new campaign for its confectionary brand Pass Pass. The campaign is a clarion call for bonding and closeness to the people who are busy, connected technologically but live in an isolated social environment. It focuses on the message that closeness isn’t limited by age, anyone old or young can share moments of closeness and happiness. The campaign has been created by Dentsu Marcom Pvt. Ltd. The campaign embarks by releasing TVC followed by Digital, Radio, BTL activations & POP materials. The film is a collage of stunning visual montages shot in scenic locations, showing various social situations, with an unique combination of both jingles & voice over for an everlasting experience. Aimed at creating imagery of brand Pass Pass in line with the brand positioning of togetherness, the campaign aspires to create a world that enable ‘moments of closeness’ in many different ways cutting across all age groups & gender like a middle-aged man picking up his woman, almost suddenly, in an open field; a man and a woman, whose hands brush as they walk past each other and the woman turns around and smiles; or a bunch of young men and women holding hands on a terrace and grooving to music, as one of them passes on a sachet of Pass Pass. The message being “Raho hamesha Pass Pass” or always stay close to each other.The film ends with people from all age groups coming together and sharing moments over a dinner on a terrace lit by lamps. Creative Agency: Dentsu Marcom Pvt. Ltd. The Dharampal Satyapal Group (DS Group) is a rapidly growing multi-diversified conglomerate, with a turnover of approximately Rs 3200 crores in the fiscal ending 2013. The Group has strong presence in F&B, Hospitality, Mouth Fresheners, Tobacco, Packaging, Agro forestry, Rubber Thread and Infrastructure. The most recent forays have been the Group’s entry into the Dairy, Confectionary and Powdered Beverages businesses. 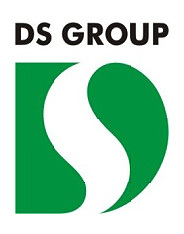 DS Group is committed towards premium quality products & credited with several innovations over last eight decades.